The suspects in a Humble-area crime spree last month have been arrested, authorities say. HUMBLE (KTRK) -- Humble police say after seeing ABC13's exclusive story, a pair of violent robbers have been caught. 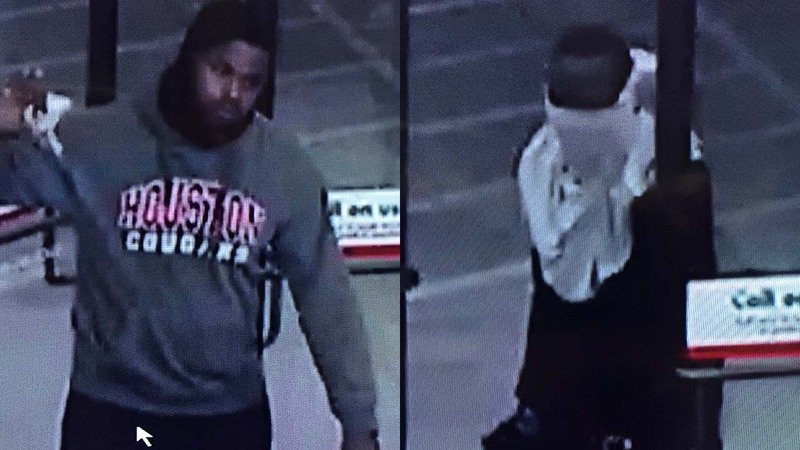 The two male suspects were arrested in Galveston County for a December 12 robbery at a Valero gas station, according to police. Police say the two suspects were wearing same clothes when they were arrested as in the Humble surveillance video Eyewitness News shared last night. Humble police say a pair of robbers work quickly and at times are violent.